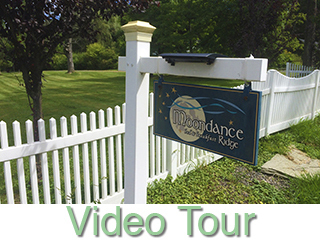 MASSAGE: An in-room massage at Moondance Ridge Bed & Breakfast may be arranged by contacting the innkeeper. Massages may only be arranged for a current registered guest. Guests may not invite their own massage therapist or other vendor into the B&B. Payment goes directly to the massage therapist. It is best to make massage arrangements at the time of your reservation. Deep tissue, pre-nataland other modalities are available. 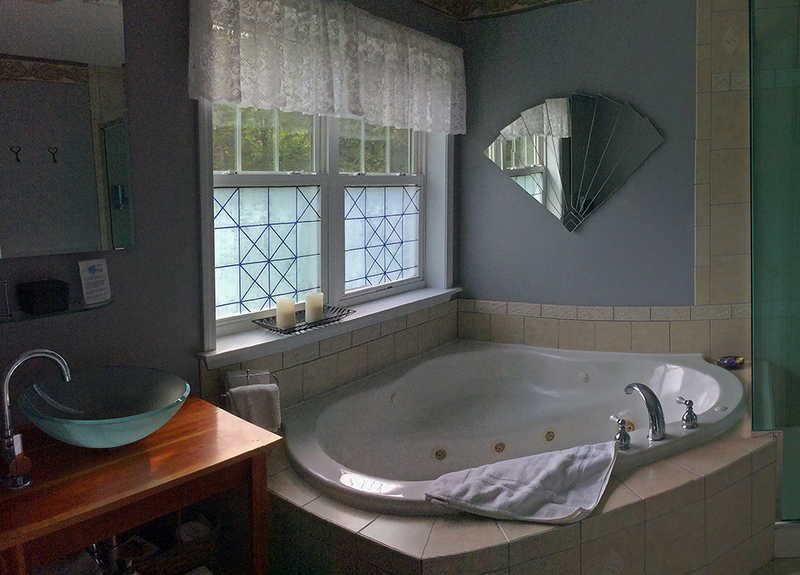 WHIRLPOOLS: A whirlpool is different from a hot tub in that it uses fresh water instead of chemically treated water. With the exception of the Moondance Suite that has a corner whirlpool and separate multi-head shower system, all of our whirlpools are oversized six foot tubs. We offer complementary aromatherapy to enhance your whirlpool experience. Our whirlpools are American Standard with the Stay Clean option. American Standard is the first manufacturer to incorporate Antimicrobial AlphaSan, a silver-based antimicrobial agent, designed to inhibit bacteria and bio-film build-up in the plumbing, resulting in a cleaner whirlpool. 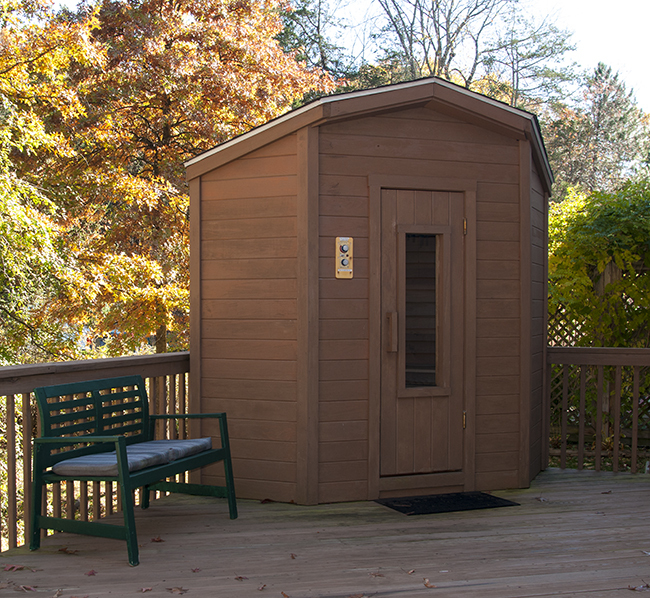 SAUNA: Be sure to schedule some time to make use of the sauna at Moondance Ridge. A sauna offers a pleasant, relaxing and refreshing experience that can be beneficial to both body and mind. It cleanses the pores, alleviates aches and pains, and helps many people sleep more soundly. For sanitary purposes and as a courtesy to fellow guess we request that apporpriate bathing attire is worn in the sauna. Please cover your seat with a towel when sitting in the sauna. Use of the sauna is by appointment only and is restricted to current guests over 18 years of age. Guests using the sauna do so at their own risk. NOTE: Drink water before and after each whirlpool or sauna and do not use if you are dehydrated.The whirlpool and/or sauna must never be used while under the influence of alcohol or narcotics. Do not stay in for more than 20 minutes. OTHER PRECAUTIONS: If you have a known medical condition, are pregnant or seeing a doctor for any symptom, the use of the sauna should be avoided until your doctor determines whether you are able to use a sauna. Whirlpool and sauna should NOT be entered by persons with acute rheumatoid arthritis, acute mental disorder, inflammation of an inner organ or blood vessels (including high blood pressure), significant vascular changes in the brain or heart, circulatory problems, acute cancer or a hangover. Do not use if you have a fever or contagious disease.